It's a sad reality that whenever kids gather, including in sports, bullying can happen. Despite our hope that team play will teach good sportsmanship, it's not uncommon for athletes to be bullied by teammates. It even happens among pro players. And you should care even if your child isn't a victim: Even bystanders can be affected by bullying. Ask your child to tell you more about any incidents he's mentioned, or say that you've noticed he doesn't seem to like his sport as much as he used to. It's important to ask questions calmly and also to avoid shaming your child as you gather information. Of course, any bullying your child is experiencing isn't his fault, so make that clear. You want him to know that you're on his side and ready to help him get through this. Be sure to tell him that you're proud of him for telling you what's going on. That's not easy for most kids to do. It's important to get involved right away. Kids in this situation really need help from trusted adults, so don't expect your child to go it alone. The National Alliance for Youth Sports (NAYS) offers these tips kids can use when they're confronted with bullying. Talk them over with your child. Sometimes role-playing helps too. Take a deep breath and let the air out slowly. Keep your hands at their sides. Have a relaxed and focused facial expression, not angry or laughing. Speak with a calm voice but loud enough to be heard by the child who is bullying or those who are witnesses. Avoid name-calling or making threats. Avoid finger-pointing or other threatening gestures. Be brief and direct with your responses. Avoid bringing up old grudges. A face-to-face meeting with the coach is best, says NAYS, because it shows you take this seriously. The coach needs to be an ally for all of his players. 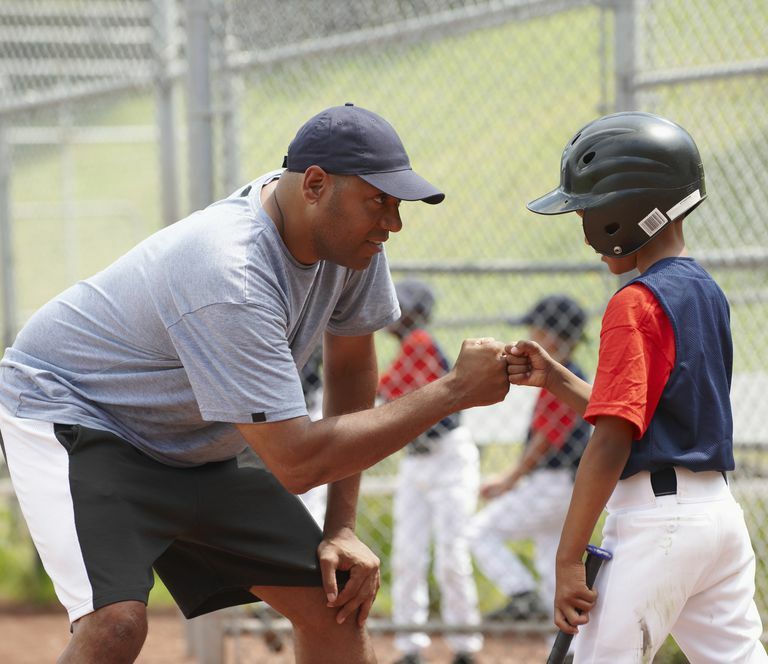 Ask what the coach can do to help your child (and every child) feel safe as a member of the team. If you're not satisfied with his response or it's not effective, contact the baseball league's administrators to ask for their help. Keep your child in the loop, too. He may have his own ideas about what would make him feel safe. If that includes switching teams or even quitting, support his decision.